Did Apple TV just stop being Steve Jobs’ ‘hobby’ and move on to being a major new business for Apple? 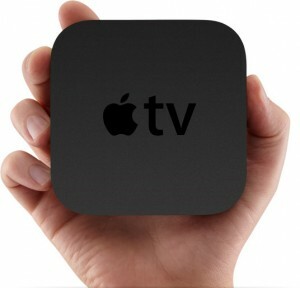 Apple has announced that it expects sales of its new Apple TV to top one million units later this week. Not that Apple has sold a million unts – but that it expects to reach that milestone later this week. The premature announcement, combined with the fact that Apple has previously been tight-lipped about Apple TV sales, suggests that Apple is starting to take its hobby seriously as a business – and that the company is concerned about the growing buzz around competitors like Roku. Apple TV and Roku players complete head to head, with the Roku XD Streaming Player coming in with better specs in some areas and a lower price. Roku is expected to sell a million of its Internet TV boxes by the end of the year. What do you think? Did Steve Jobs’ hobby just become a business? It’s starting to look like a two-horse race, between Roku and Apple. Apple can’t let itself get beat by a startup like Roku.